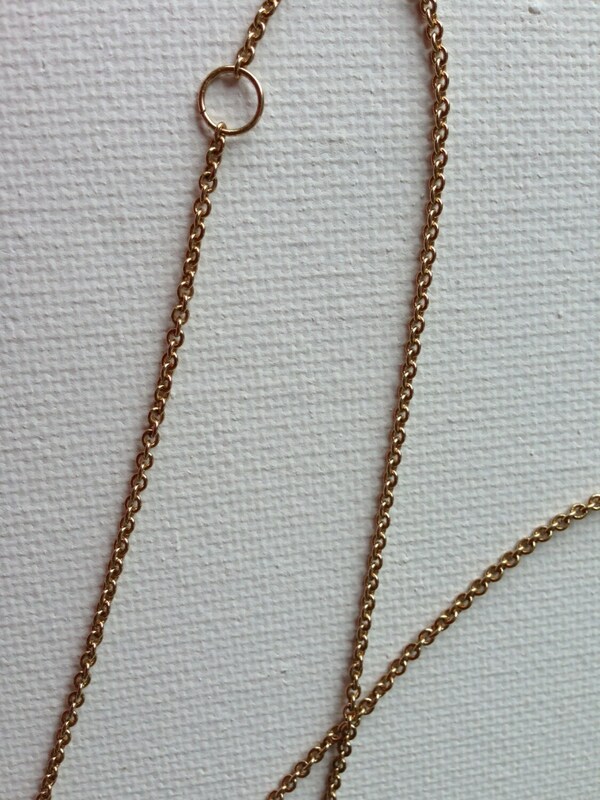 Pretty necklace for layering, can be mixed with silver and gold pieces since the Jade stone flares both ways. 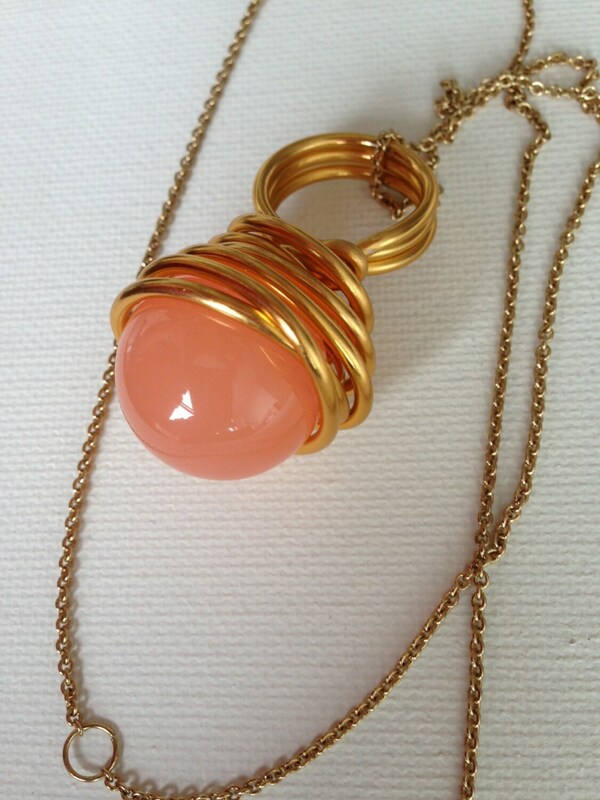 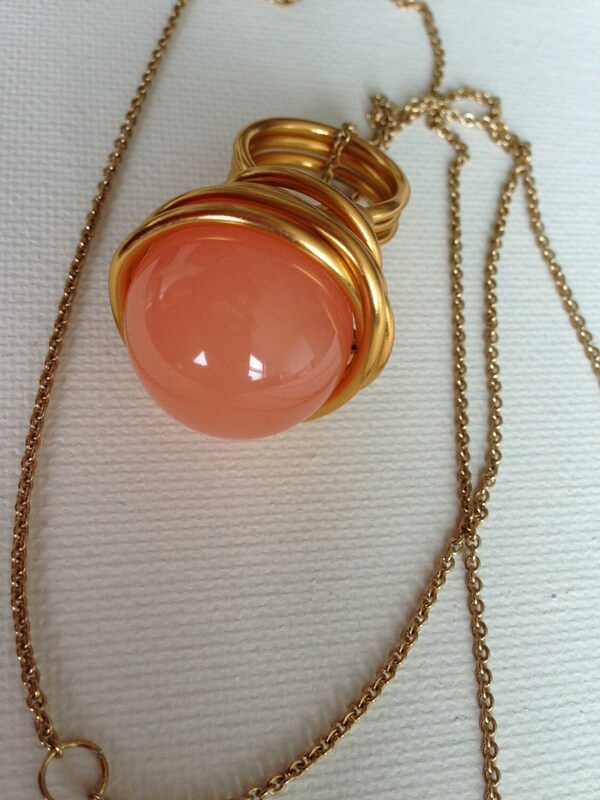 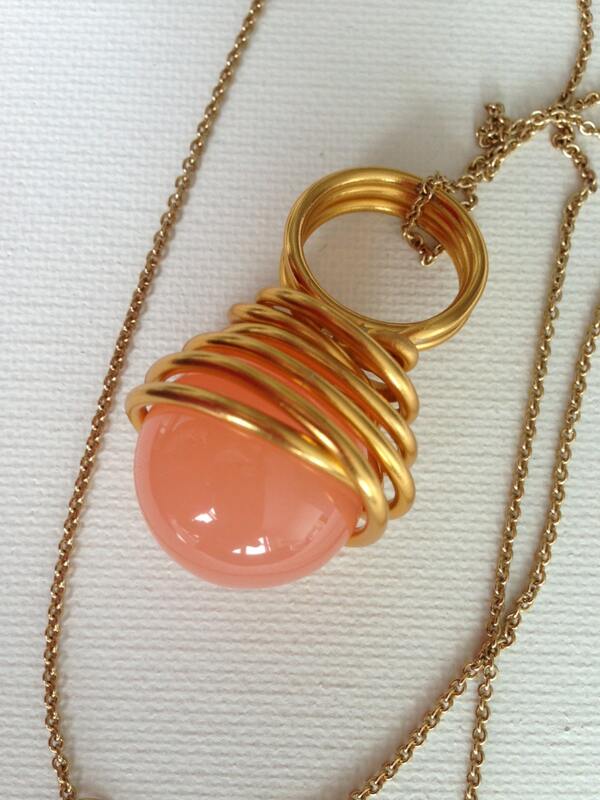 The Jade stone is dyed to be a light melon color, a very pretty tone, and is engulfed in wirework delicately wrapping it. 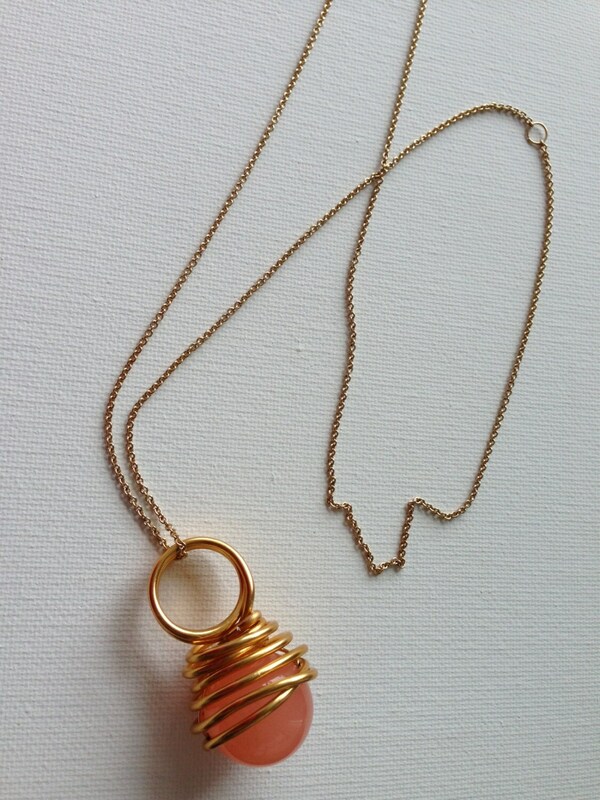 The length of the necklace is 16" and doesn't need to be opened, there's no closure, it just slides over the head nicely, making it a very practical yet stylish piece.